Metoxi is one of those beaches that is just perfect for those who are looking to get a bit isolated. This beach presents people with the ideal opportunity to relax and enjoy the natural scenery. There are mountains nearby and the air is crisp and refreshing. The water is also perfect for swimming. If you’re looking for a beach that has a bit of a crowd, this certainly isn’t the place for you. 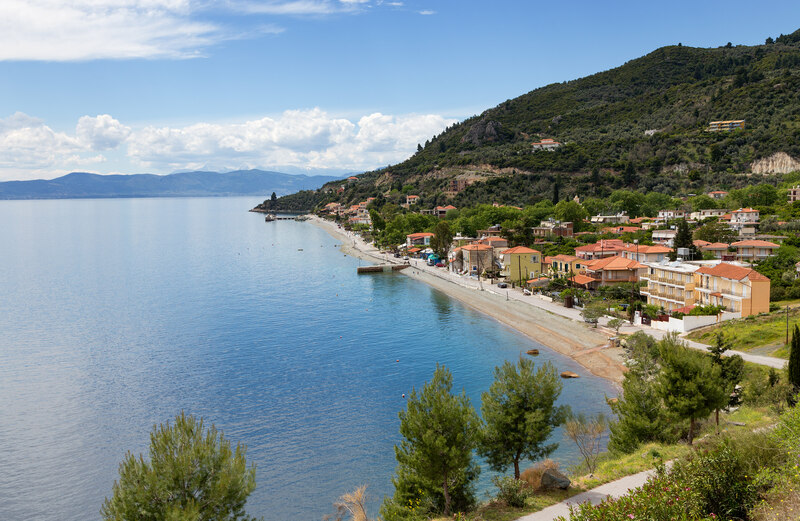 If total relaxation is what you’re after, you should head to Metoxi Beach! If you want to visit the island’s most bustling beach, Hiliadou is the place to be! Throughout the warm summer months, this beach is filled with both locals and travelers looking to soak up the sun. This is also a popular destination for campers so don’t be alarmed if you see some tents pitched near the beachside. 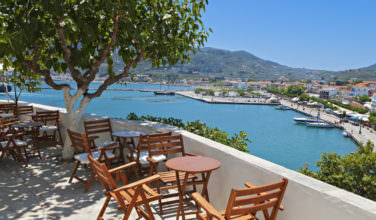 There are also plenty of tavernas nearby to satisfy your hunger, many of which have a nice view of the water. Long regarded as one of the best beaches on the island, Mourteri is a place that you simply must visit! It is located about 10 kilometers away from Kymi so if you know this is a beach that you won’t want to miss, you should stay near Kymi instead of some of the other places on the island. The main draw is the fact that the water is particularly warm and is a gorgeous, sparkling shade of blue – especially when the sun hits it. Although the route to Agiocampos Beach initially gives travelers the impression that it is fairly hidden, once you do find it, you realize that there are some telltale signs of life. For one thing, the beach usually has a healthy crowd and there are plenty of people here swimming in the water or lounging on one of the sun beds. 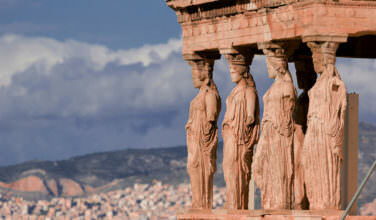 There are also plenty of nearby cafes, restaurants, tavernas, and hotels to satisfy all your travel needs! If you’re someone who really enjoys to swim in the water once you find a great beach, you’ll want to spend some time at Rovies! Although you can easily swim at any of these choices, Rovies stands out from the rest because of its gentle, warm waters and quiet atmosphere make this the ideal place for relaxation. 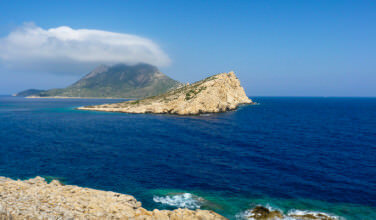 If you’re staying in Chalcis, it will take you over an hour to drive here, but the trip will be well worth it. Of course, there are other things to do on Evia (Euboea) than visit the beach. 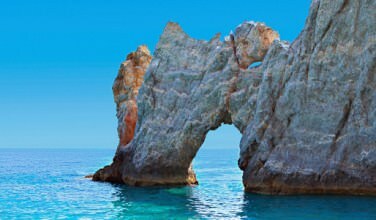 However, the beaches are certainly an enjoyable part of the experience! If you have plenty of time, you might want to consider visiting each one of these.